Aizawl, Feb 23 : Campaign for elections to the 509 village councils in six districts and 52 local councils within the Aizawl Municipal Council area, to be held tomorrow, ended on Wedesday. An electorate of 4,06,003 would elect 2,115 village council members from 5,364 candidates in the village council polls while 1,74,868 voters would seal the fate of 1,341 in the local councils which has a total of 522 members. While the ruling Congress and the opposition Mizo National Front (MNF) would be the main contenders in the village council as well as local council polls, other parties like Mizoram People's Conference (MPC), Zoram Nationalist Party (ZNP), People's Conference (a breakaway group of the MPC) and the BJP also fielded candidates. 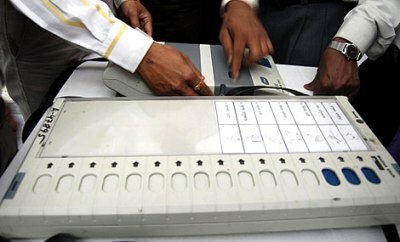 The state election commission, which conducted the polls, announced that polling would begin from 7 AM on Thursday and counting of votes would begin after the polling is completed on the same day.